This movie is concerned with intelligence as the division between animal and human, then asks a question, what is the next division? Technology is treated as irrelevant to the quest - literally serving as mere vehicles for the human crew, and as a shell for the immature HAL entity. Story told as a montage of impressions, music and impressive and careful attention to subliminal detail. A very influential film and still a class act, even after 25 years. 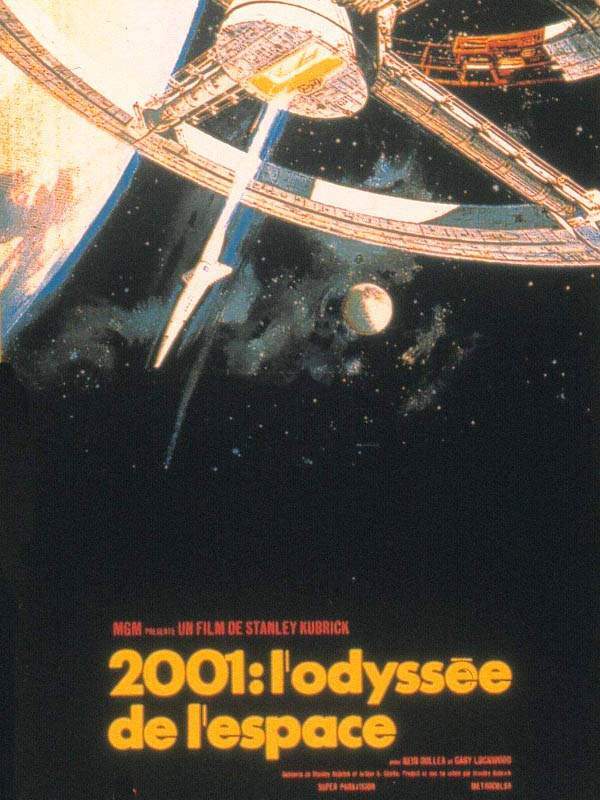 Instead of writing a paragraph, I'll give four good reasons why 2001 is the greatest cinema experience of all time: 1) It is a visual Odyssey that could only be told on the big screen. 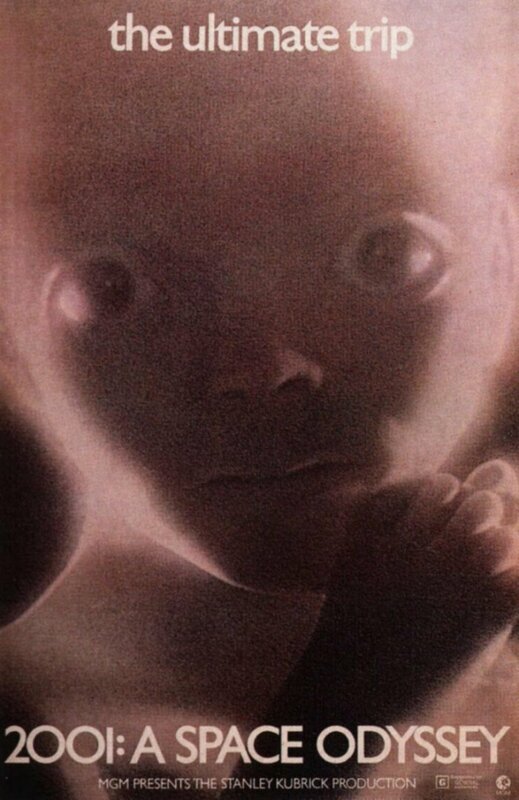 The special effects that won Kubrick his only Oscar are the most stunning effects before that age of Jurassic Park and T2. 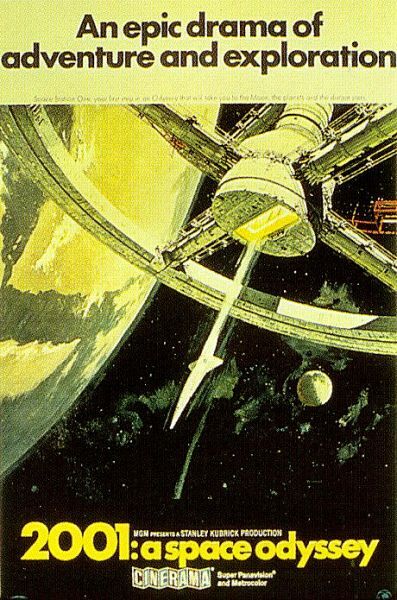 They allow Kubrick to give an acurate (or at least are the most accurate) depiction of space travel to date. 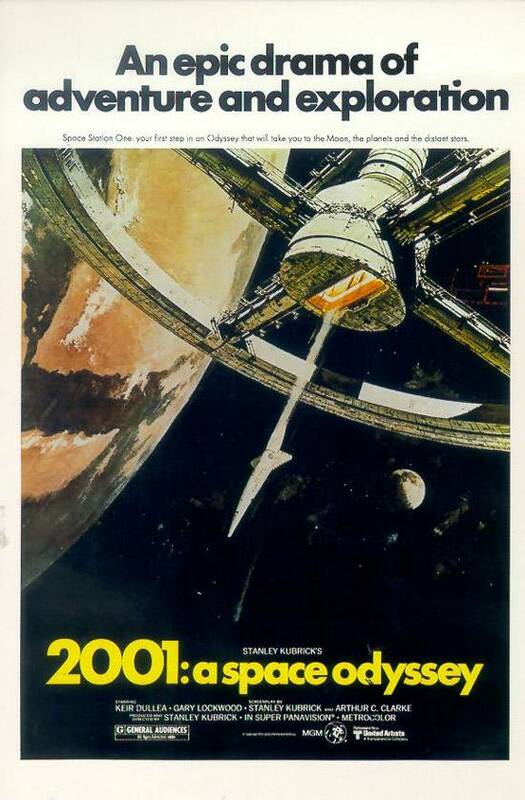 The silence that fills the space scenes not only serves its purpose as accurate science, but also adds to the mood of the film (to be discussed in a later point with HAL). 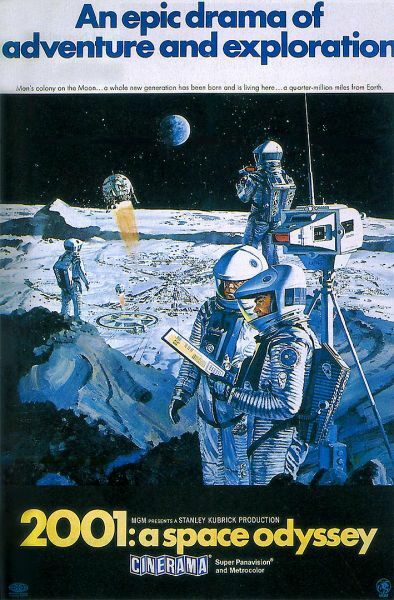 The fact that Kubrick shot the moon scenes before the Apollo landing is a gutsy yet fulfilling move. Many have said that upon its original release, it was a favorite "trip" movie. I can think of no other movie that has such amazing visuals for its time and even of all time (sorry Phantom Menace fans!) 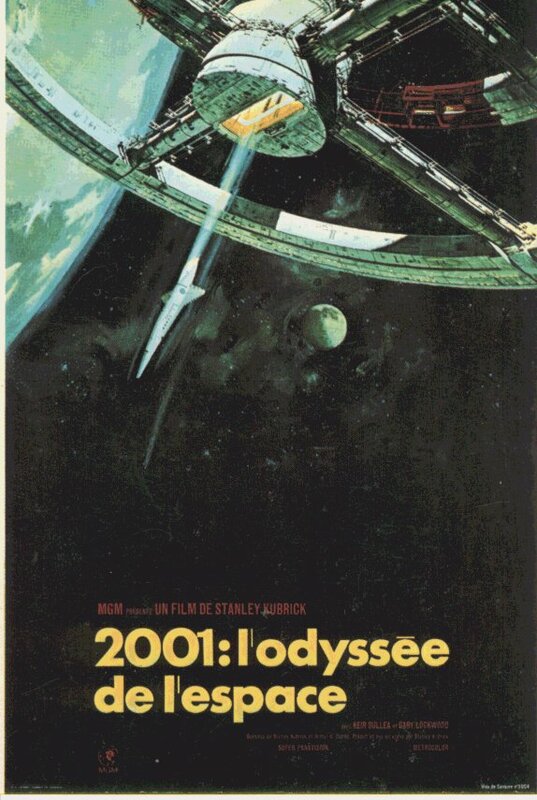 2) Kubrick's directing style is terrific. As in all his films, Kubrick likes to use his camera as means to delve into the psychology of his characters and plots. His camera is not as mobile as other greats, such as Scorsese, but instead sits and watches the narrative unfold. 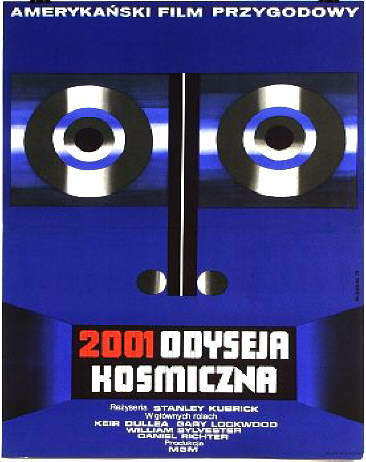 Faces are the key element of a Kubrick film. Like classic movies, such as M and Touch of Evil, Kubrick focuses on the characters' faces to give the audience a psychological view-point. 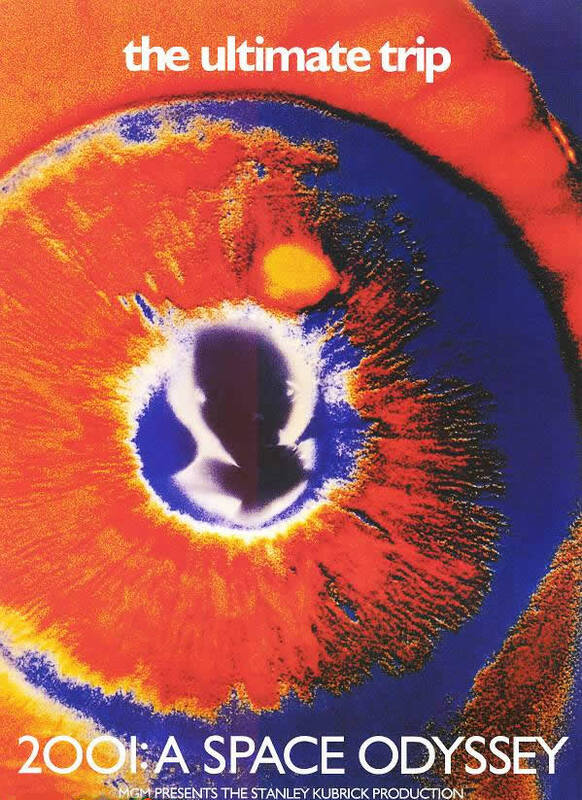 Even he uses extreme close-ups of HAL's glowing red "eye" to show the coldness and determination of the computerizd villain. 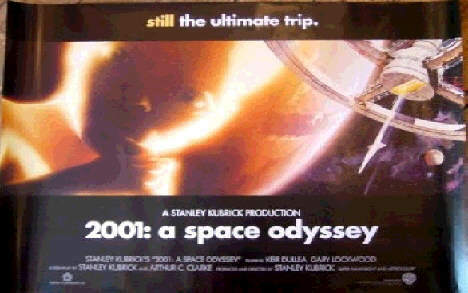 I could go on, but in summation Kubrick is at the hieght of his style. 3) HAL 9000 is one of the most villainous characters in film history. I whole-heartedly agree with the late Gene Siskle's opinion of HAL 9000. 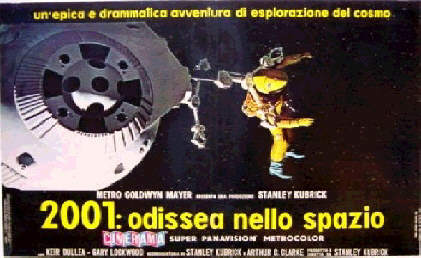 Most of this film takes place in space. Through the use of silence and the darkness of space itself, a mood of isolation is created. Dave and his crewmen are isolated between earth and jupiter, with nowhere to escape. Combine this mood with the cold, calculated actions of HAL 9000 and you have the most fearful villain imaginable. I still, although having see this film several times, feel my chest tighten in a particular scene. 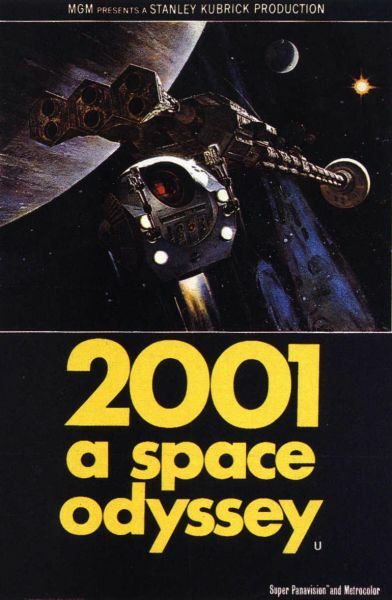 4) 2001 as American cinema's first real art film. 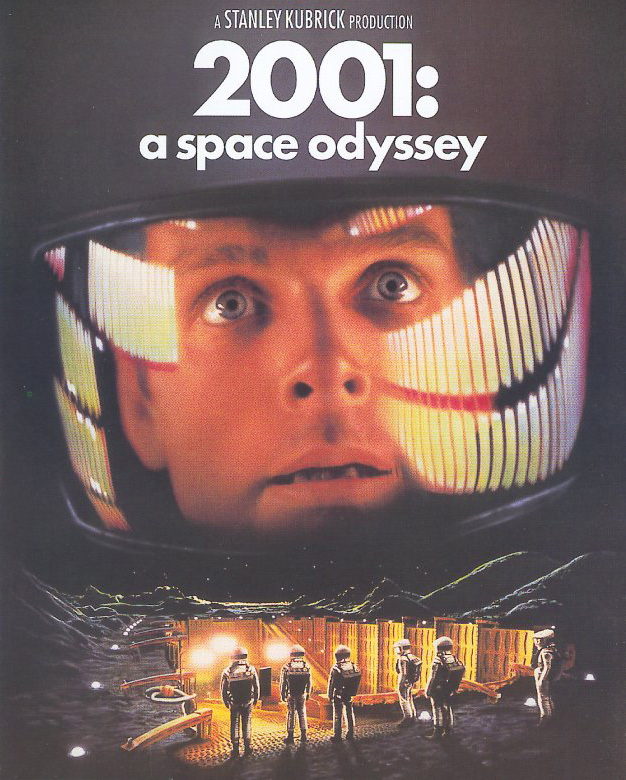 The controversial ending of 2001 always turns people away from this film. 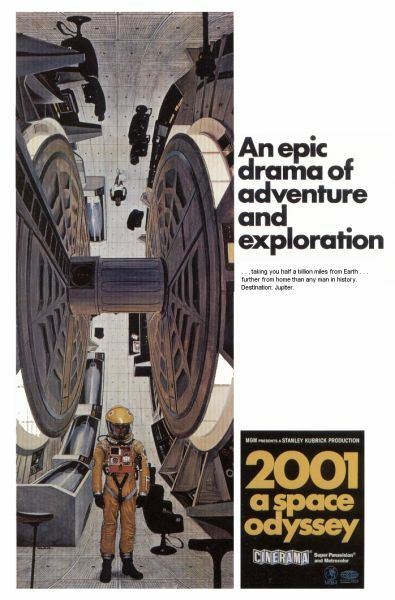 Instead of trying to give my opinion of the what it means and what my idea of 2001's meaning in general is, I'd like to discuss the fact that the ending serves to leave the movie open-ended. 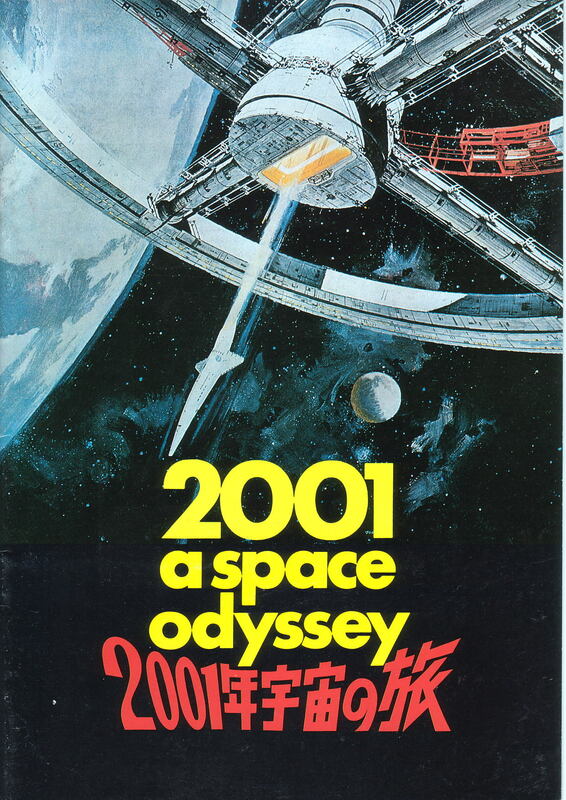 Kubrick has stated that he inteded to make 2001 open for discussion. He left its meaning in the hands of the viewer. 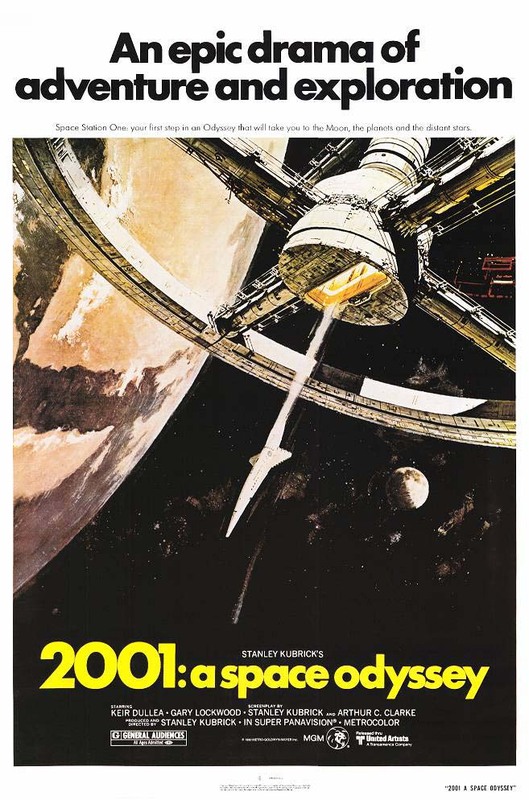 By respecting the audience's inteligence, Kubrick allowed his movie to be the beginning, not the end, of a meaningful discussion on man's past, present, and future. 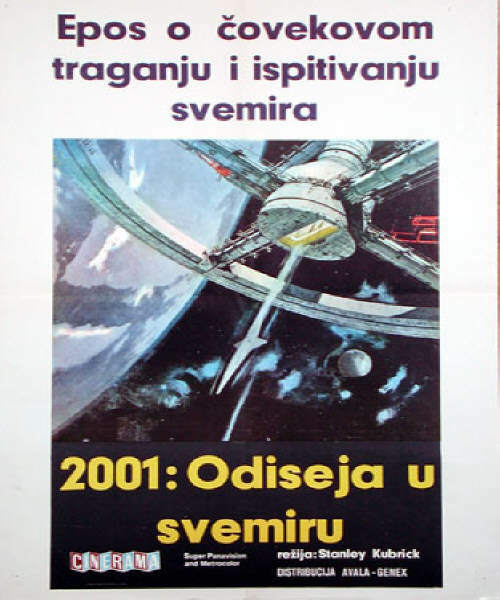 The beauty of 2001 is that the ending need not mean anything deep, it can just be a purely plot driven explanation and the entire movie can be viewed as an entertaining journey through space. No other movie, save the great Citizen Kane, leaves itself open to discussion like 2001. It is truly meant to be a sureal journey that involves not only the eye but the mind. Instead of waiting in long lines for the Phantom Menace, rent a widescreen edition of 2001 and enjoy the greatest cinematic experience.